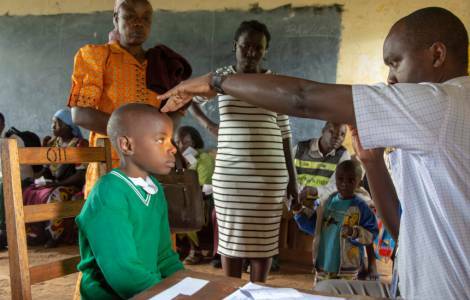 Wodanga (Agenzia Fides) - In Kenya, out of a population of 39 million, over 300 thousand are blind or severely visually impaired due to preventable and treatable diseases. Too many children remain blind just because their parents are poor to pay for medical care. "When a child is born with a cataract, he must be operated as soon as possible, in order not to seriously compromise his cognitive development. 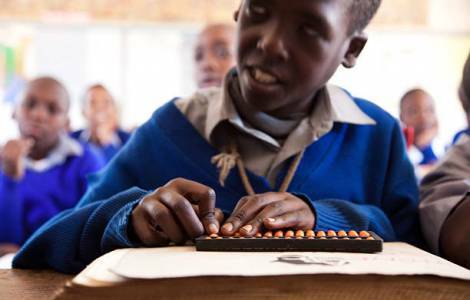 Blindness undermines their future because it prevents them from studying and being independent", explains to Fides Massimo Maggio, Director of CBM Italia Onlus. CBM (Christian Blind Mission) is the largest international humanitarian organization committed for 110 years in the prevention and treatment of blindness and disability in the Countries of the South of the world, with timely, targeted and widespread interventions in many Countries. In Kenya, cataracts are the leading cause of blindness (43%). Sabatia eye hospital in the city of Wodanga, the largest in Western Kenya, has a catchment area of 20 million people. In addition to eye treatment, it offers training courses in collaboration with local universities. The hospital's strong point are the mobile eye clinics that periodically reach the most isolated villages in the Country and carry out visual screening, distribute antibiotics and bring assistance to those who do not have the money to reach the hospital.